The ever-repeated parrot statement from the copyright industry is that "authors must be paid". This ignores the existence of Wikipedia and about three billion smartphones, and is therefore simply false. Nevertheless, the question and assertion assume that the copyright monopoly exists with the purpose of making sure somebody gets paid. That’s not why it exists. 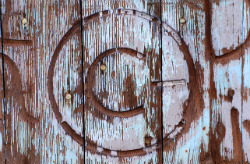 More importantly, the question and assertion also assume that no culture, knowledge, or technology would get created without the copyright monopoly (or outside of the copyright industry). The purpose of the copyright monopoly is clear: it’s worded quite explicitly in the United States Constitution, article 8. Its purpose is “to promote the progress of science and the useful arts”. The purpose is not for anybody to get rich, or make a living, or paid at all. The purpose is and was always to benefit the public. To generate progress, with the implicit meaning of making that progress available to everyone (or it wouldn’t be progress in any meaningful sense of the word). Now, it has been assumed – as asserted by the copyright industry – that the only way to achieve this effect, across all fields and disciplines, is to lock the authorship up in a time-limited* monopoly. Various government officials have accepted this narrative. The copyright industry therefore has two customers: first, it sells the idea of its unique capability of producing culture and knowledge to the government, in exchange for a monopoly when it does so. Second, it sells monopolized copies of that culture and knowledge to people in exchange for money. It’s important to realize that the copyright industry has two different sets of customers, and the first set has every reason to revisit the dishonest deal and get a new supplier. According to reality, the copyright industry is wrong. Let’s be clear here: the most common operating kernel for servers and mobile smartphones, which underpin the entire IT industry today, was written completely outside the copyright monopoly context with no need for anyone to get paid. The richest source of knowledge available, which underpin all college educations even if unofficially, was written completely outside the copyright monopoly context with no need for anyone to get paid. This doesn’t mean that nobody should be allowed to sell anything. Quite to the contrary! But it can be conclusively deduced that government officials have been completely in the wrong when accepting the copyright industry’s assertion that nothing will ever get produced without a strong copyright monopoly. It can also be conclusively deduced that the business models that are based on free tools, culture, and knowledge are worth enormously much more to the economy than a manufacturing industry still trying to sell round pieces of silly data-carrying plastic when their competition ship the medialess information across the world in seconds. Government officials should just stop buying the idea from the copyright industry that a monopoly is required for progress to take place. They should get a new deal from another supplier, and as is the case when this happens, the supplier being ditched – the copyright industry – has no say whatsoever about the new supplier or the new deal. More specifically, it’s more beneficial to a government to not hand out any kind of copyright monopoly at all, as more culture and knowledge – more progress – is created without it. The copyright monopoly has demonstrated that it’s not just unnecessary, but downright harmful to progress, to the economy, and to civil liberties. The copyright industry should not be allowed to get away with its further Norwegian Blue parroting of “how should the authors get paid”. The question is not relevant. Any honest business model is built without a legal monopoly in any case. Make money, good for you. But you don’t get to do so with a monopoly that cuts down on my rights, especially not with blatant lying.